Friday Nuggets - Johnny Thunder "I'm Alive"
Johnny Thunder, from Florida, later lived in New York (not to be confused with punk legend Johnny Thunders), and was a touring member of The Drifters and Ink Spots. While thought of as an R&B or blues singer, he put out a great single in 1969 written by Tommy James that is a perfect combo of '60's garage rock and soul music. I discovered the song only this week when I saw this mind-blowing video of stunt snow skiing in downtown Detroit. These guys out jackass Jackass! The whole video is amazingly well done. The soundtrack, including the Johnny Thunder song "I'm Alive" (kicks in at the 7:52 mark), is only part of its brilliance. Johnny Thunder still performs today at age 80, mainly on luxury cruise ships. If Floristry was released in 2013, I would gush about it being one of the best debut LPs of the year, and a clear top 20, for me. Instead, I'll warn you that I will be providing a full review in mid-January in advance of its official January 31 release date. So why write about it at all now? Because Trick Mammoth is yielding to the demands of an eager fan base, and providing an advance digital release to coincide with their show on December 20. Thus, the album now is available on the band's Bandcamp page. "Cold Dalmatian" is sweet melancholy and completely captivating. And yes, if you are a regular reader of these pages, you've read these names before. Millie also is in Astro Children and Sam in in Males. Adrian also has a project called Mavis Gary, which we will discuss soon. Clearly, the talent pool is deep in Dunedin. Floristry is released by Fishrider Records. In the UK, it will be released by Fishrider in conjunction with Occultation Recordings. REVIEW: Talulah Gosh - Was It Just A Dream? Talulah Gosh is about as representative of the twee pop and C86 sub-genre of indie pop as a band can be. Proudly DIY, the band's music was characterized by a rush of sweet, girl group vocals and jangling guitars with a fast tempo and punk rhythm section. The band was formed in '86, apparently when Amelia Fletcher (vocals and guitar) and Elizabeth Price (vocals) met and discovered a mutual affection for Scots pop band The Pastels (coincidentally, the band's first recording contract was with Stephen Pastel's 53 & 3rd label). The remainder of the original line up was Mathew Fletcher (drums), Peter Momtchiloff (lead guitar), and Rob Pursey (bass). When Rob left the band, he was replaced by Chris Scott. Elizabeth departed in '87 and was replaced by Eithne Farry. The band split up in '88, but Amelia, Mathew, Peter and Rob reformed as Heavenly, which ran until '96 playing a similar, but tighter and more disciplined approach. The band's sound and decidedly non-pop star approach to dress inspired both devotion and hostility. Curiously, they were more broadly accepted in the US, and were considered a major influence on the punk and Riot Grrrl scene spawned in Olympia and championed by Calvin Johnson's K Records. After spending a good bit of time with this compilation, I have concluded that Talulah Gosh's work bears up very well to the test of time. While old fans will rejoice at having new material in one place, new fans will realize that the music would plug in very well in certain corners of the current indie scene. An interesting part of the Talulah Gosh story is the members' post music careers. Elizabeth Price won a Turner Prize in 2012 for her film "The Woolworth's Choir of 1979". Amelia Fletcher has served a chief economist and director of mergers at the Office of Fair Trading. Peter Momtchiloff is a senior editor for philosophy at Oxford University Press. And Eithne Farry is a literary critic. The retrospective Was It Just A Dream? is available via Damaged Goods Records. REVIEW: The Verlaines - "Hallelujah - All the Way Home" and "Juvenilia"
One might be tempted to assume that a band named after the 19th century French poet Paul Verlaine and playing literate pop songs is going to be a bit precious. In the case of New Zealand's The Verlaines, the temptation should be avoided. The truth of The Verlaines is that few bands have as adroitly combined a palpable cool with fury, grit, debauchery and romance. Formed in 1981 in Dunedin by student Graeme Downes (who now chairs the music department at the University of Otago), the band released several singles and an EP over the next few years. Their first full length album was Hallelujah - All the Way Home, released in 1985 on Flying Nun Records. In 1987, before the release of their next official full length, Flying Nun released Juvenilia, which compiled the band's early singles and EPs. Overall, The Verlaines have released nine albums and numerous singles, and Downes and the current members still play and record. In fact, the original line-up from Halleluhah - All the Way Home days performed in Auckland last week at the 'Jangle All The Way Home' show, and Downes and the current members played at the event as well. Flying Nun has re-released both Hallelujah - All The Way Home and Juvenilia this month, completely remastered and with bonus artwork. In addition, Juvenilia comes with a 10 page booklet and additional memorabilia. The CD version of Juvenilia also includes select tracks from releases before the debut album. In this writer's opinion, the results are among the more worthwhile re-releases of the year. And if they were new albums, they would be in the the top echelon of my year end list. American fans should note that Brooklyn label Captured Tracks has entered into a partnership with Flying Nun to release the New Zealand label's back catalog, so the order links below are to the Captured Tracks site. The line-up for Hallelujah - All The Way Home was Downes (guitar), Jane Dodd (bass) and Robbie Yeats (drums). The eight tracks presented rollicking rock songs, down tempo folk rock and pub sing-a-longs. Perhaps subversively, Downes used classical music forms and, without any fanfare, French horn, clarinet, recorder and cello. I read somewhere that the album had been composed for a music class, and that Downes received an A. I hope the story is true, because it is a great story, and he deserved the grade. The seamless combination of '80s jangling guitar and Renaissance-era folk gives the album a timeless aura and exotic texture that would make it remarkable even if the tunes weren't so good. Yes, it is brooding, judgmental and sometimes bitter. But the undercurrent us that you can always have another pint or three and do it all again tomorrow. The ambition was remarkable for a debut album; the execution was a triumph. The CD version of Juvenilia is a beefier, if more eclectic, offering as compared to Hallelujah, featuring 15 tracks. And the diversity is its signature appeal as it showcases the variety of Downes' songwriting, and the band's versatility in convincingly carving out memorable love songs and moody ramblers. It contains very good songs in its own right, but it also provides the listener with an understanding of the journey Downes made as a songwriter from '81 to '85, as he worked on his craft and tried out various band combinations until he settled on Dodd and Yeats for Hallelujah. Juvenilia has been out of print since 1987, so this re-release is a welcome treat for new and old fans. Some consider "Death And The Maiden" to be the quintessential song from The Verlaines' catalog. To the extent Joel R.L. Phelps remains most famous as one of the three original creative forces of Missoula indie icons Silkworm, that's a shame. It's been nearly 20 years since he split from the band after the release of their brilliant third album, Libertine (and before their masterpiece, Firewater), and teamed up with bassist Robert Mercer and drummer William Herzog to form the Downer Trio. Over the next 7 or 8 years, Phelps and his mates would release three very-good-to-excellent albums and a covers EP featuring songs by the likes of Townes Van Zandt and Iris Dement. In 2004, they put out a near-masterpiece of their own -- Customs would make my top 20 records of the decade if I ever committed such a list to paper. Phelps was at the top of his game, and then he went quiet. 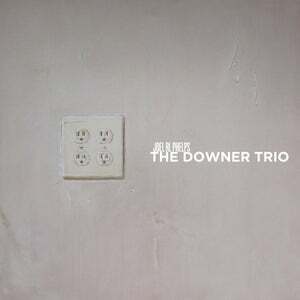 So, in a year overflowing with excellent music, the most pleasant surprise for me was the October release of Phelps/The Downer Trio's first record in nine years -- the oddly named Gala. And the surprise is not so much the release itself, but the fact that this collection of haunting, searing songs is Phelps's finest effort -- easily one of the best releases of the year. True to his style, there's nothing gala at all about this album. The happiest sound on the record is the almost ska-tinged bass intro of the first song, "Nashville Sound". Phelps comes in with a yearning vocal, followed by the crash-twang of as beautiful a guitar chord as you'll ever hear. The themes that resonate through the album are introduced here -- searching for redemption; coping with loss -- in lines like "I want the grace to put my bottle down" and "I want a way to soothe my black desire." I played this song for a buddy at work who had never heard of Phelps, Silkworm, whatever, and by the break after the second verse he had dialed up itunes and bought the whole album. Check it out for yourself. Gala moves effortlessly between fuzzed out rock songs and brooding acoustic pieces, incorporating tastefully restrained keyboards on several tracks. You can hear the influences in Phelps's guitar work -- Neil Young being the most obvious, but maybe with some Steve Earle and Jason Molina in there as well. What really sets this work apart, though, is Phelps's voice, and in this as much as anything else, the years have been good to him. His ability to convey emotion at both intensely quiet and intensely unhinged levels -- sometimes in the same damned song -- is better than ever. Here's one of the excellent acoustic tracks, "Wind at Her Face." We've happily featured the music of Brian Wakefield's Emotional project several times here. Brian, who also is a member of San Francisco band Melted Toys, creates fuzzed out, warped but melodic soundscapes. 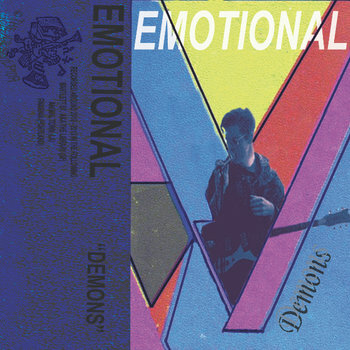 His latest effort is the ten-track Demons, and it is available on cassette form Fred Thomas' Life Like Tapes. A five track digital download is available at the Bandcamp link below. Cassorla is Ben Cassorla, in-demand guitarist for Edward Sharpe and the Magnetic Zeros, Slick Rick and others. But for his Amigos EP it will be Ben and his friends, including actress Aubrey Plaza, Eric Earley from Blitzen Trapper, Taylor Goldsmith from Dawes, Crash from Edward Sharpe and the Magnetic Zeros, Krystle Warren, Henry Wolfe, and Elizaveta. The EP is scheduled for early February release, but the track "Bona Fide" is available for free download. I haven't heard the rest of the EP yet, but this track is great pop music. Enjoy! What is a year in music without several Ty Segall projects with different vibes? Well, an unusual year, to be sure. And a bit emptier as well. This fall California's most prolific garage rocker joined up with long time friends Charlie Moothart and Roland Cosio to explore their heavy rock side as Fuzz. Unexpectedly, Segall moves to the drum kit, Moothart plays guitar and Cosio provides the bass. Ty and Charlie both contribute vocals. The fruits of their labor are the eight tracks comprising Fuzz. The mood is heavy and the sound is heavy. The trio has fused heavy rock, metal, progressive rock and a bit of blues rock into a sonic assault that I find both intriguing and cathartic. A great introduction is "Loose Sutures". Fuzz is scuzzy, fuzzy, psychedelic and full of sonic power. There is a nod to punk in the vocals, but otherwise this album unspools as the next logical step of '60s and '70s heavy rock. Ty Segall fans should like it because it is another interesting chapter in Ty's musical journey. Heavy rock fans should like it for the simple reason that it is good heavy rock of a type not often produced these days. Get some Fuzz, kids - make your holidays loud. Fuzz is out now via In The Red Record.